Brexit donor Arron Banks likes to boast about his money. Reported estimates of his fortune vary from £100m to £250m. In his book, 'The Bad Boys of Brexit', Banks says that in 2015 he decided to spend millions of pounds on influencing British politics because “my businesses in this country and overseas, where I own a number of diamond mines, were doing really well”. Banks was the biggest backer of the Brexit campaign, donating more than £8m. In spring 2016, the one-time UKIP donor gave £6m in loans to Leave.EU. These loans – a huge sum for a British political campaign – were due to be repaid by the end of 2017. But Banks has not called in these debts, openDemocracy has learned. You might imagine that a man who could afford to just write off £6m in loans to Leave.EU must have significant disposable income. Perhaps. After a major openDemocracy investigation last year found serious questions about the extent of Banks’s wealth, the Electoral Commission announced that it is investigating whether, in the run-up to the Brexit vote, Banks and one of his companies broke campaign finance rules requiring transparent sources of funds, and prohibiting donors from outside the UK. Over the weekend, it emerged that the Information Commissioner’s Office (ICO) is also investigating Banks and Leave.EU over possible breaches of the Data Protection Act. The ICO is further investigating the relationship between Leave.EU and other companies controlled by Banks. Questions have been raised about Leave.EU's links with Cambridge Analytica. Recent investigations by openDemocracy and our partner journalists at SourceMaterial have raised fresh questions about the value of Banks’s business empire, his business associates and the real source of the Brexit campaign’s largest donations. The true value of Banks’s claimed “significant” diamond discoveries in Lesotho is questionable, while his insurance business has been propped up by a £77m cash injection from an unknown source, and people who specialise in using tax havens to protect the secrecy of wealthy clients have taken up seats on the board of one of his companies. Public and political demands for clarity over the origins of Banks’s money are mounting. Responding to our latest revelations about Banks’s mining and insurance businesses, Ben Bradshaw MP called on Banks to “be clear about the full facts” of his business interests. 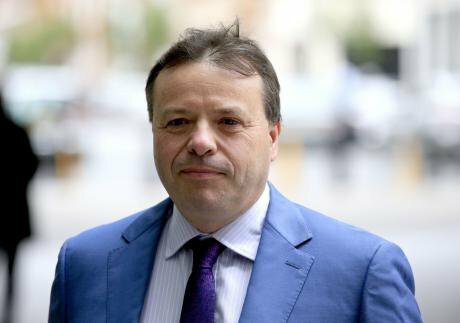 “These latest revelations about Mr Banks makes it all the more important that he is completely transparent about the sources of his wealth and his funding of the Brexit campaign,” the Labour MP told openDemocracy. Banks has spoken often of his mining interests. He has said that he owns “several old De Beers mines” in southern Africa. In September 2017, he announced a “significant find” in Lesotho. Newspaper reports at the time suggested that he was poised to use the windfall to bankroll a new political party for his friend Nigel Farage. So Banks’s Lesotho diamond business is thriving? Well, our investigations cast some doubt on that. We found that the area of the “significant find” in Lesotho had produced only a few hundred pounds’ worth of diamonds in the two decades before Banks bought it. 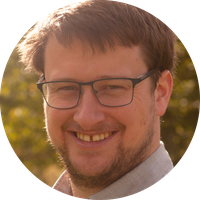 Keith Whitelock, a geologist and expert on Lesotho diamonds, told us that it was “geologically impossible” to find commercial quantities of diamonds in the mine. That’s not all. When we looked into Banks’s business dealings in Lesotho we found even more surprising things. Back in 2015, Banks boasted to The Times that his political consultancy, Chartwell, was advising the Basotho National Party (BNP) ahead of the then upcoming Lesotho general election. Sure enough, we found photos on social media of a smiling Banks, arms raised aloft, being paraded at a BNP rally in the capital Maseru. 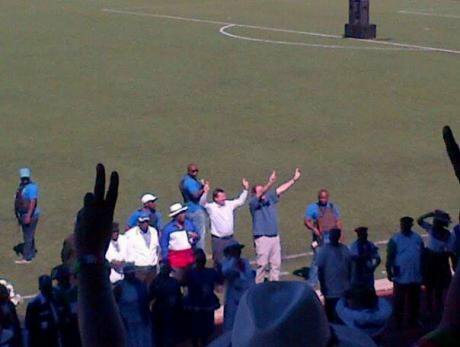 Banks and Pryor waving to a BNP stadium rally in Lesotho. Photo: Facebook. Fair use.But when we dug into the relationship between Chartwell and the BNP, it turned out that it was rather different to most political consultancy gigs. Rather than the party paying Chartwell for its advice, we discovered that Banks was transferring money to the BNP: at least £65,000, a significant sum in one of the poorest and smallest countries in southern Africa, which has a GDP per capita of just $1,040 (£730). Some of the cash was deposited into a private account linked to BNP leader John Thesele Maseribane rather than the official party account. The BNP is a useful ally for Banks in Lesotho: while the party has just five seats in the country’s parliament, it is part of the current ruling coalition. Directors of Banks’s local mining company in Lesotho are also close to business associates of the family of BNP leader Maseribane. Banks said our reports about his Lesotho investments and political ties were a “political attack,” without commenting further. Banks said he would float Eldon in early 2018. So far this has not happened. There is nothing particularly unusual about a private company deciding not to list on the stock exchange but, at the same time as Banks was telling journalists he would float Eldon, a businessman closely involved in Banks’s insurance empire was embroiled in a money-laundering probe. On 19 October 2017, Alan Kentish, chief executive officer of STM Group – which specialises in offshore “wealth preservation” – was arrested by the Royal Gibraltar Police under the territory's Proceeds of Crime Act. They are investigating whether he had failed to notify authorities of potential money-laundering by one of STM’s clients. Following his arrest, Kentish resigned his directorships of two companies linked to Banks. Kentish is a long-time business associate of Banks. Both were founder-directors of a company called Southern Rock in 2004. Southern Rock is a key part of Banks’s business empire – it underwrites his insurance policies. A sister company, Rock Services, was one of UKIP’s biggest donors. But just before Banks started giving money to UKIP, Southern Rock was in real trouble. 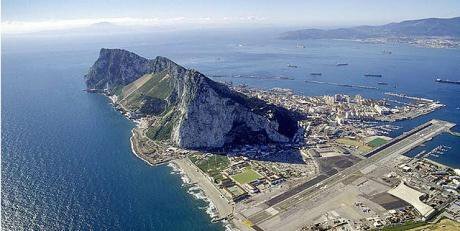 Financial regulators in the tax haven Gibraltar investigated the firm, and found that it was keeping its reserves far below what was needed. Banks, the regulator said, had to find an extra £60m in financing. As far back as 2011 Southern Rock’s accounts had warned that it was “technically insolvent”. Gibraltar. Photo: Luis lopez de Ayala.Southern Rock was saved in 2015 by selling various rights to future income for £77m to another of Banks’s businesses, the tax haven Isle of Man-based company ICS Risk Solutions. ICS was at the time the parent company of Eldon. Around the same time, Banks started making huge donations to Brexit campaigns. An investigation by SourceMaterial, published on openDemocracy, has found that Kentish and other STM-linked directors were key figures in this bailout. Corporate records show that on 29 April 2015, the day before this rescue deal, Louise Kentish, the wife of STM’s boss, joined the ICS board. On 24 June 2016, the day after the Brexit referendum, Kentish also joined the board, along with two other new directors – the former and current chairmen of STM. Banks has stated that he owns 90% of Eldon and ICS, but Companies House records say that he actually owns less than 75% of the companies, raising the possibility of an unknown investor. STM also played a cameo role in another of Banks's Brexit vehicles. Better for the Country Ltd, one of the main firms Banks used to donate to the Brexit campaign, was set up by an STM Group company. Better for the Country – and whether it was the true source of this cash – is now part of the Electoral Commission investigation. Kentish and his fellow ICS directors hold the key to the origins of the funds that saved Southern Rock. Without that £77m cash injection, it is hard to see how Banks could have funded his political donations while keeping his insurance business afloat. Then, just months after the rescue, Banks started making huge donations to political causes, including the more-than £8m he funnelled to pro-Brexit campaigns. Bradshaw told openDemocracy that Banks “should cooperate fully with the investigation being conducted by the Electoral Commission, including being clear about the full facts behind the bailout of Southern Rock”. Kentish, like Banks’s Southern Rock, is based in Gibraltar. While Banks was splurging money on the referendum campaign, his insurance business was being propped up by a cash injection from an unknown source, while people who specialise in using tax havens to protect the secrecy of wealthy clients were taking up seats on his board. STM has said that the Gibraltar investigation, under which Banks’s associate Kentish was arrested in October 2017, relates to a client company of STM and that it expects Kentish to be exonerated. Andrew Wigmore, a spokesman for Banks, said our questions were “baseless” and evidence of a “biased hatchet job”. Separately, the ICO is also investigating the relationship between Leave.EU and Eldon Insurance. This isn’t the first time that openDemocracy has raised questions about Banks’s wealth. In October 2017, reporters Alastair Sloan and Iain Campbell asked a simple question: how did Banks afford Brexit? They’d spent much of the past summer appraising the publicly available information about his wealth. After that story was published, Bradshaw, the Labour MP, called on the government to investigate the possible role played by “dark money” in the EU referendum. Since then, the Electoral Commission has launched its investigation into whether all the cash donated by Banks actually came from him, and whether the various campaigns he was involved with broke election spending rules. Now the ICO is investigating Leave.EU and Banks over possible breaches of the Data Protection Act. Until we know where Banks’s money has come from, we won’t know who ‘bought’ Brexit. But we’re getting closer.